Founded in 2012 by Diane Pitman and Wayne Plett, Fine Line Cabinets & Countertops is proud of the reputation we’ve built with our excellent customer service and quality products. 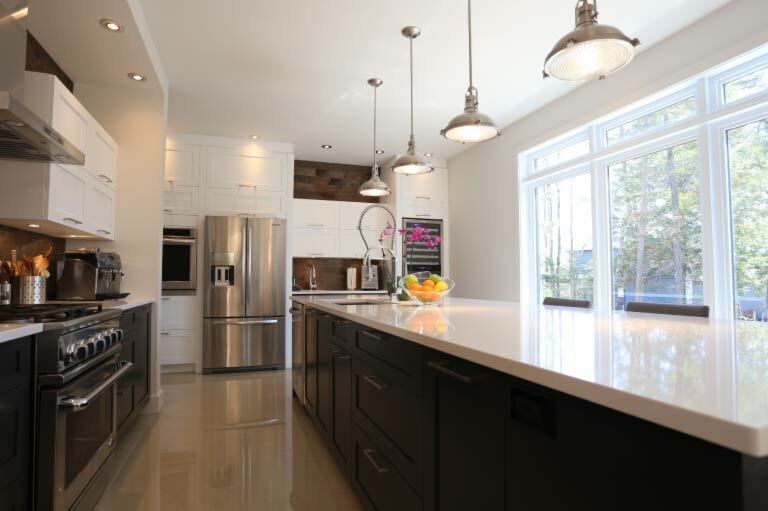 Serving Grande Prairie and the surrounding area, we provide high-end kitchen cabinets, quartz and granite countertops, laminate countertops and cutting services to contractors, wholesalers and home owners. We offer a hands-on experience from start to finish, and we are not satisfied until you are happy with your kitchen. Whether you need us to cut a laminate countertop or want a complete custom design, we have the experience and expertise to provide the best service possible. We invite you to drop by our showroom from 9 to 5, see our wide range of products and talk over your plans. We look forward to helping you create the kitchen of your dreams.